The Robert L. Lewis Academy of Scholars is celebrating 10 years of empowering student civic activism at Cuyahoga Community College (Tri-C®). The academy is a tribute to Robert Lewis, founding chair of the Cuyahoga Community College Board of Trustees, who was known for his infectious love of learning, dedication to Tri-C and passion for exploring issues of civic responsibility and ethics. Friday, May 3, 2019 | 8:30 a.m.-2:30 p.m. The Robert L. Lewis Academy for Social Justice presents this symposium as a celebration of 10 successful years of empowering students in civic activism. This interactive event offers community members, faculty and students a rare opportunity to engage in a lively, real-life interchange on how we can rebuild our sense of community based on what we hold in common as human beings. Presentation will reflect on the impact of Robert Lewis’ legacy on the core values and organizational development of Near West Theatre. Former Near West Theatre (NWT) executive director and choreographer Stephanie Morrison Hrbek grew up in East Lansing, Michigan, where her parents, both ministers, built and served Edgewood United Church of Christ. Her family’s involvement in the struggle for human rights shaped her and inspired her life's work. Morrison Hrbek co-founded NWT in 1978 as a reflection of her commitment to living and serving in a richly diverse urban setting. She was also involved in the development of the Gordon Square Arts District (GSAD), where NWT is an anchor organization. 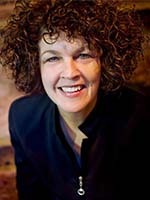 A 2001 graduate of Leadership Cleveland and recipient of City Year's Lifetime of Idealism Award, Morrison Hrbek received the 2009 Martha Joseph Prize for Distinguished Work in the Arts as well as a 2010 Cleveland Arts Prize for her role in the leadership of GSAD. Morrison Hrbek now begins her next chapter, which includes spending time with her granddaughters, serving on Cleveland's Community Relations Board, volunteering to assist nonprofits with organizational development and helping organize NWT's archives. How do communities become empowered in the face of so many injustices and obstacles? Whether it’s voter suppression, discriminatory policies, or entrenched poverty, building political power in historically marginalized communities requires resiliency, skills of persuasion and leadership and maintaining ones vision. Veronica Isabel Dahlberg is the founder and executive director of HOLA, a grassroots Latino organization focusing on community organization, leadership development and civic engagement. Born in Canton, Ohio, Dahlberg is the daughter of Mexican and Hungarian immigrants. She has been an advocate in Northeast Ohio’s Latino and immigrant community for more than 20 years. Under Dahlberg’s direction, HOLA Ohio has received multiple honors including the Torchlight Prize — a national award recognizing work that empowers the Latino community — and the Distinguished Hispanic Ohioan Award from the Ohio Commission on Hispanic/Latino Affairs. 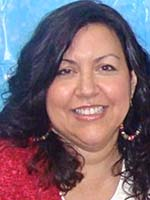 Dahlberg was named 2013 Community Advocate of the Year by the Cleveland Hispanic Roundtable, and she received a Characters Unite Award from NBC Universal.